The Automotive Blockchain and Actionable Transparency - ShiftMobility Inc.
Over the last decade, the automotive industry has witnessed a remarkable technological revolution. From integrated navigation, wi-fi, sensors and cameras, we’re privy to a level of digital interactivity thought impossible just a few years ago. Modern vehicles are evolving into drivable connectivity hubs right before our eyes. Nowhere is this more evident than with the manufacturers who make the cars and parts, the distributors that sell them, and the service centers who consume them. While it is relatively straightforward to purchase a technology-laden new phone every couple of years, vehicles have decidedly more permanence. Gartner estimates that by the year 2020 there will be over 250 million connected vehicles on the road, with the number of installed connectivity units in vehicles worldwide increasing by 67 percent and consumer spending on in-vehicle connectivity doubling. Built-in vehicle sensors will aggregate and provide data in ways never imagined just a decade prior. When all is said and done, the push towards a mobility ecosystem will allow cars to be directly connected to their manufacturers, parts distributors, and repair centers. However, despite these advances vehicle ownership, registration, connected vehicle data, repairs, inspections, and parts replacement information remains fragmented. Furthermore, the industry is under intense pressure from an ever-expanding vehicle mix, distribution battles, inventory obsolescence, cashless payments integration, legacy infrastructure, and continued disruption from mobile parts marketplaces. Faced with these challenges, it comes as no surprise that OEMs and the aftermarket are struggling to keep up. To reap the benefits of our connected future, the industry requires complete transparency and interconnectivity between man, machine, and external organizations. Blockchain is the only technology that can adequately address these challenges. Powered by Blockcurr and Ethereum, SHIFTMobility’s Platform is the industry’s first and only blockchain-based hub for all information and transactions that touch a vehicle. While other organizations are busy debating the implementation of blockchain through emerging consortiums, our platform is currently deployed in leading automotive businesses. With SHIFTMobility, data from the driver to the car, insurance, service visits, real-time condition, maintenance to be performed, service history and more are captured in a single unbroken, immutable, highly secure, distributed and transferable chain – recording 4,000 GB of data per day per vehicle. By maintaining vehicle service histories and events triggered by a vehicle on a blockchain, we provide greater transparency to stakeholders across multiple vehicle caretakers. Tokenized data means diminished friction between participants and real-time engagement between customers, workers, and vehicles. 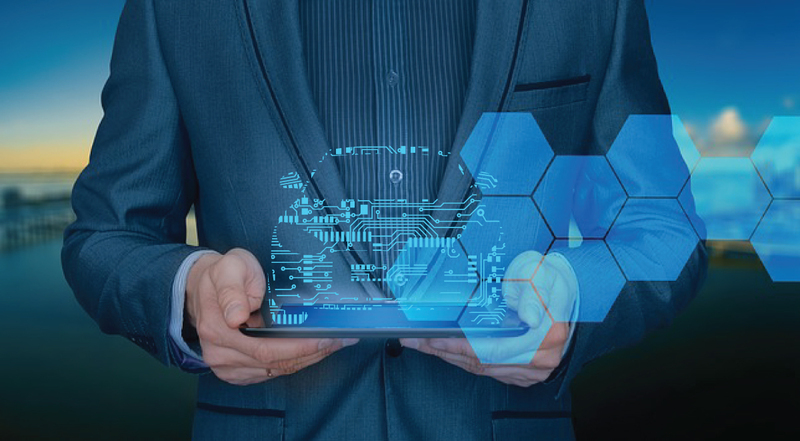 Dealerships can transform paper contracts into digitized smart contracts, connect to vehicles for proactive maintenance suggestions, alert users when their warranty is ending, as well as engage and reward customers using digital tokens to build loyalty to the brands they sell and the services they perform. Customers can scan service records to maintain the integrity of their service history. If they visit any of the service centers on the SHIFTMobility Network, these records are automatically available on the blockchain for easy access. Upon transfer of ownership, the new owner gains the complete service history. SHIFTMobility empowers businesses and customers to engage with one another in a transparent and trustworthy manner from the time of vehicle purchase through its maintenance lifecycle. It is not uncommon for vehicles to unexpectedly need emergency repairs or roadside assistance. At present, servicing is done on ad hoc basis. Customers must take their vehicles to repair centers where an inspection is performed and they are advised on which repairs are necessary, an estimate is provided, and once complete, they are then handed a piece of paper or sent an email listing the work performed. With SHIFTMobility, owners gain instant access to everything from repair estimates and service appointments to emergency roadside assistance, DMV and Insurance paperwork, plus a detailed list of all the work previously performed and parts (OEM and Aftermarket) specific to their vehicle. Furthermore, when a vehicle service is performed, the records are made instantly available within the app. The supply and distribution of automotive parts today is online and mostly centralized. Demand forecasts feed into requirements planning and manufacturing of products at global OEM plants. Parts are then shipped to distribution channels across the US. These distributors often rely on order histories and vehicles in operation databases to stock parts for sale. Our blockchain platform allows for the creation of fully automated systems and applications that leverage Distributed Ledger Technology (DLT) and Smart Peer-to-peer Networks. With the creation of a DAO based parts marketplace, vehicle demand is made transparent throughout the automotive ecosystem. Distributors gain the means to stock the right products and plan logistics for instant availability at the nearest point of service. Manufacturers gain insight into fast-moving parts and can plan production schedules appropriately. Should there be any premature failures, those products can be instantly recalled. By connecting drivers to vehicles, services, and everything else, SHIFTMobility satiates high consumer expectations while simultaneously liberating previously siloed data for proper use and meaningful intelligence. Our technology eliminates any remaining information barriers, security risk, and costly IT infrastructure to handle the massive transaction volumes generated by vehicles. Not only does the platform streamline everything from the manufacturing and sourcing of parts to repairs and payment, it provides consumers with a consistent experience regardless of where the road takes them. The security, scalability, and costless verification offered by the SHIFTMobility Automotive Blockchain Platform is the engine that will power the automotive industry for this mile and next.